Most old time radio programs work in part because of the era they’re set in. For most programs, trying to update them to modern times would be silly. Taking Philip Marlowe, Barrie Craig, Nick Carter, or Candy Matson out of their original contexts wouldn’t make sense. Of course, it’s always possible to do a period piece. Although modern period pieces often suffer from creators deciding they need to transport twenty-first-century sensibilities back into historical periods. The original concept: 1940s series starring Alan Ladd. 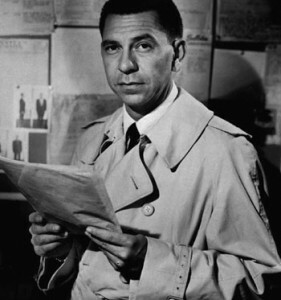 The reporter and mystery writer Dan Holiday places an ad in the paper, “Mystery wanted, will go anywhere, do anything.” A few episodes in, Dan hired a secretary named Susie. It seems she had undiagnosed inattentive-type ADD, which unfortunately got her dismissed as ditzy at the time. Twenty-first Century updates: He would post his ad online and receive replies to an email address with “Box 13” sneaked into it believably. He could be an adventure blogger who posts about his adventures and lives on Patreon income and Google AdSense revenue. Also, Susie could be portrayed as not being so dumb while steering clear of making her a Mary Sue. The original concept: 1950s radio series starring John Calvin as a widowed single father raising his two kids on his own while also being a private detective. Twenty-First Century Update: I always thought the original concept of the show had a lot of unrealized potential. Probably the most important thing would be to pick a tone. The surviving episodes vary too much. Some try to be adult crime dramas, while others would have appealed more to kids. I would propose making it a good family show with some comedy and the kids stumbling into his cases. The original concept: A publisher and his wife solve mysteries together. Twenty-First Century update: It’s been too long since we have a loving mystery-solving couple. Tampering would be minimal. Pam and Jerry are already equal partners in the mystery- solving department.Listening to the radio programs or watching the TV episodes, it’s a coin flip as to who’ll provide the solution. She could have a separate career which leaves plenty of time for sleuthing, such as a photo blogger. Whoever wrote it would need to be careful to avoid turning her into the “Strong Independent Woman” stock character that has replaced the damsel in distress. Pam North’s portrayal on radio and TV is witty, resourceful, funny, and fairly well-balanced. That should be maintained in any adaptation. The original concept: Reporter Randy Stone roams the night in Chicago in search of stories. He writes mostly human interest tales of the best and worst of humanity in the night. Randy has a touch of cynicism, but also a lot of compassion and morality which motivates him. He’s part philosopher, as he paints broad pictures of humanity through each encounter. Twenty-First Century update: Wouldn’t Work. Night Beat makes a tempting target for a Twenty-First Century reboot. However, I don’t think it can be updated successfully. Randy Stone is at the heart of the series. Unlike Box 13, you couldn’t just have him writing for a blog. He also couldn’t still be working on a newspaper. If there were ever reporters who were close to Randy Stone, they’ve gone extinct. In the last sixty-five years, people have become more cynical about the press, and the press has become more cynical about people. Reporters want to bring change but through partisan reporting that brings about systemic societal change. Randy Stone’s goals were nonpartisan: to be a decent person and to call other people to be decent too, regardless of politics. His nonpartisan perspective no longer flies in modern journalism. It may have been a bit fanciful in 1950. In 2018? Totally unrealistic. The only thing a TV or radio creator could do with a modern-day Night Beat would be to ruin it by making it partisan. This would probably happen even if it was attempted as a period piece. However, I welcome reader comments on the programs I’ve mentioned as well as any others that you think might (or might not) work with a modern day reboot. A woman fears her mother’s been murdered by her father.